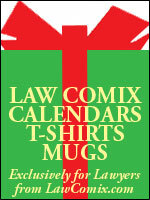 Brand new to the LawComix Store are 2009 Law Calendars, Legal T-Shirts and Lawyer Mugs, exclusively for lawyers. 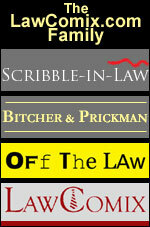 Unique but affordable gifts for lawyers available only at the LawComix Store. Click to visit. 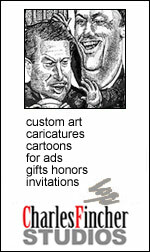 LawComix lawyer-artist Charles Pugsley Fincher was hired to do a fantasy illustration of famous constitutional law scholar and law school dean, Erwin Chemerinsky as a Chicago Cubs shortstop. See the painting and read the full story.